Judaism is not about theory – it’s all about experience, action, and connection. 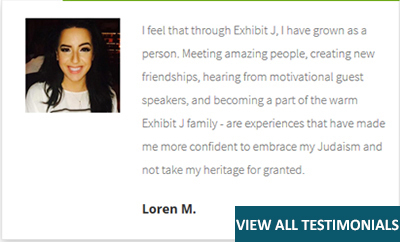 What is Exhibit J Experience All About? Judaism is not about theory – it’s all about experience, action, and connection. And you don’t know what you’ve got until you try it. You own your Judaism. Try it out. 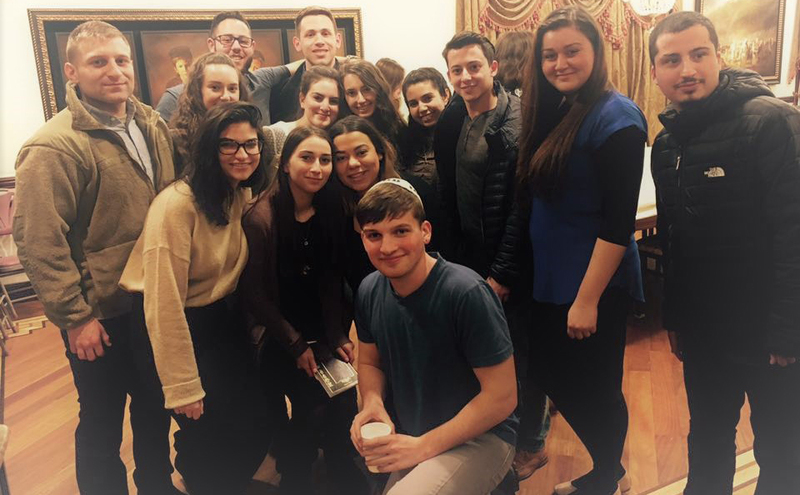 Here are some tools that our generous partners and friends have set up to allow young Jewish adults like yourself to experience their own Judaism. Roots will provide you with a pair of Tefillin once you are ready to commit to wearing them every day for 6 months. (Tefillin are hand-made by a highly trained Jewish scribe and are worth hundreds of dollars!) To date there are over 400 participants in this program. 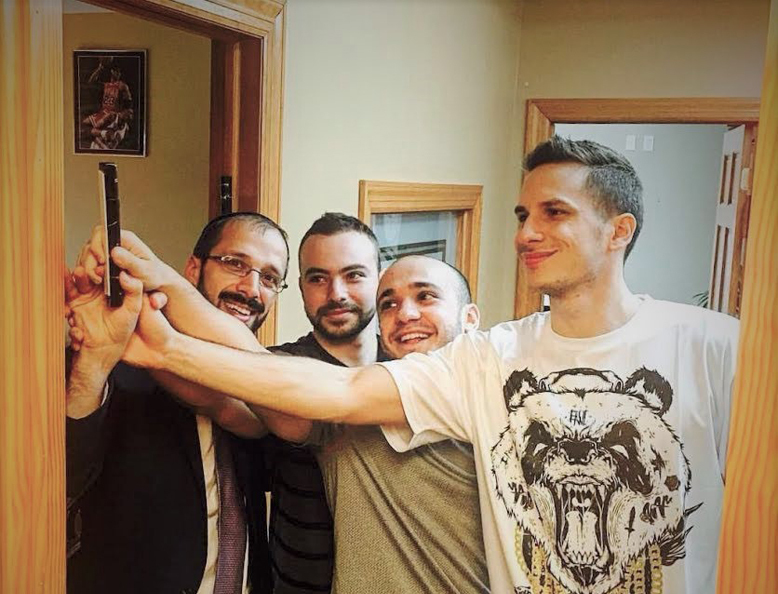 It’s an easy way for every Jewish man to add Judaism to his life and connect to his roots every day. 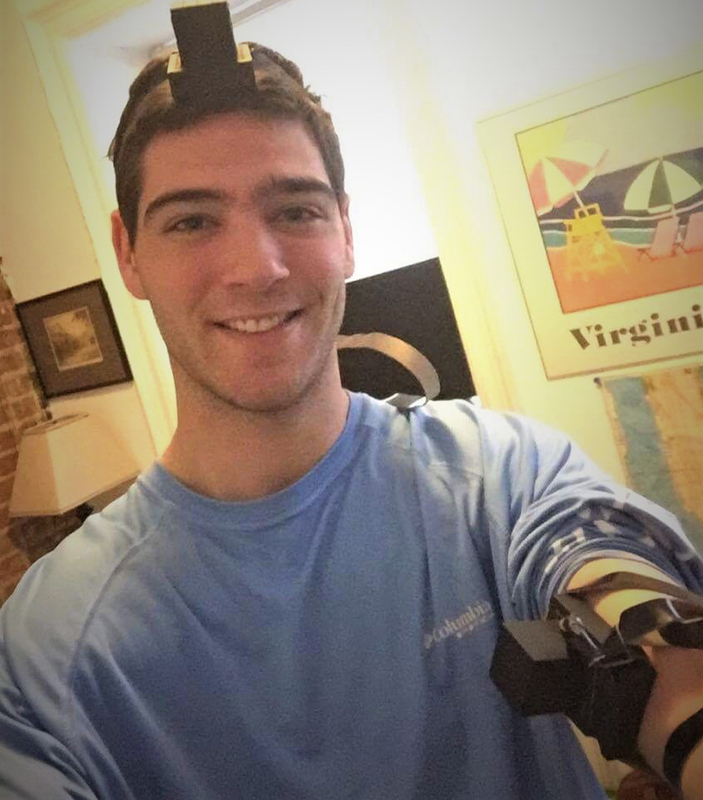 For a great article about the why and how of tefillin, click here. A mezuzah is a hand-written scroll affixed to the doorpost of every Jewish home and business. It protects you form physical and spiritual harm, and makes a statement that within your residence, God is respected and relevant. If you are a young Jewish adult on Staten Island and would like to add more Judaism to your life, get your highly-subsidized mezuzah now! Here is a complete guide to making your doorpost Jewish. 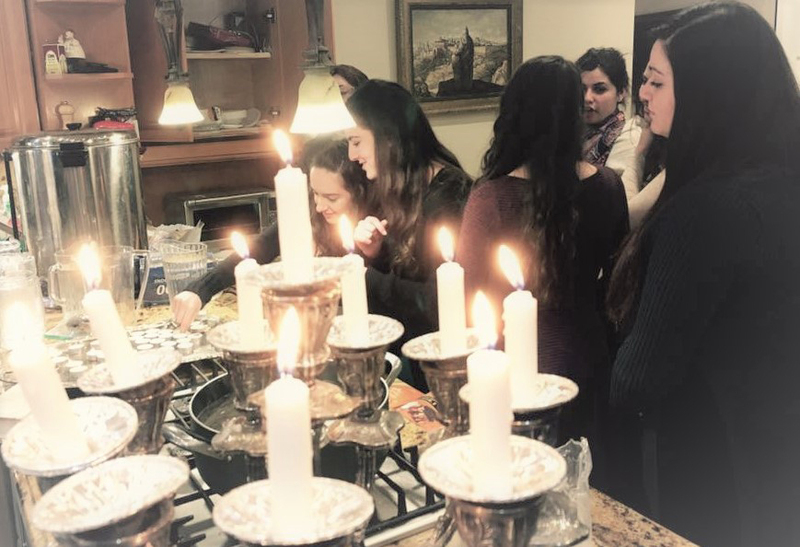 Every Friday evening, Jewish women across the globe light up the world by kindling the Shabbos candles. 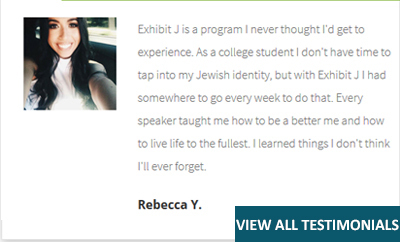 At Exhibit J we want to help every young Jewish woman on Staten Island be part of them and experience the light and joy of Shabbos. Challenge: Commit to light candles every Friday before sundown for 8 weeks, and a beautiful set of candlesticks is yours to enjoy. For a really great article about the why and how of candlelighting, click here. Or, you can sign up for Shabbat.com and meet hundreds of families all over the world who are waiting to welcome you into their homes. 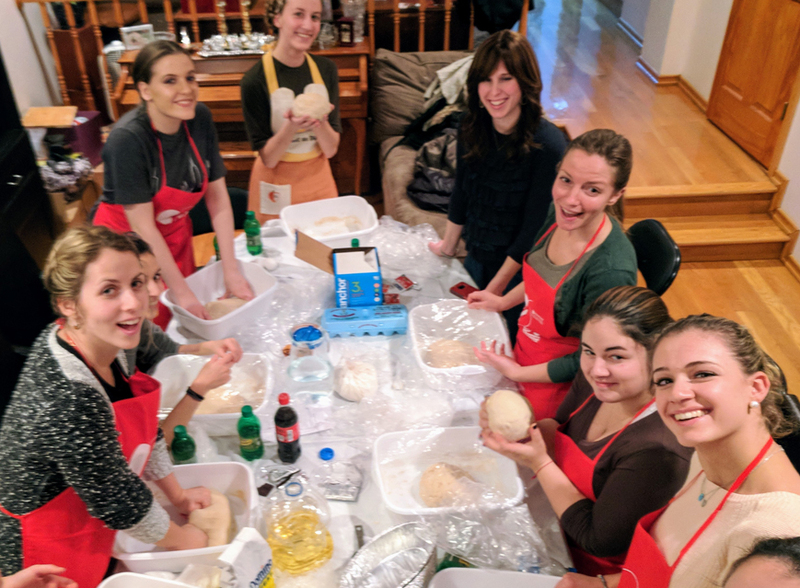 Join us for the new Exhibit J monthly Challah Bake! Who doesn't love fresh challah straight out of the oven? Dedicated to Rabbi Dovid Winiarz (the Facebuker Rebbe), of blessed memory. The man who was "single handedly" planting seeds of Jewish education on Staten Island. We are known as the People of the book. We became a nation when we received the Torah. Our identity hinges on our knowledge, and our generous partners are happy to share this gift with you. 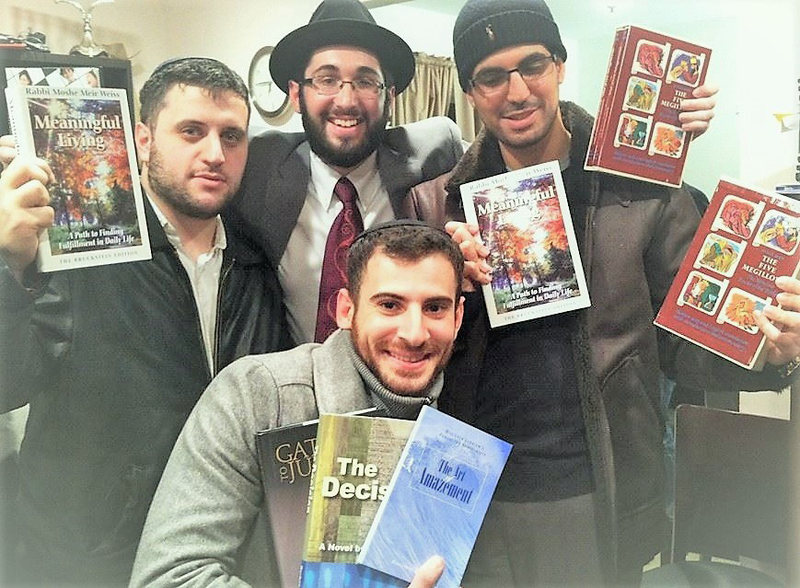 We will get you a book or two that can help you further your discovery of Judaism and enhance your life! If you’re interested in a mitzvah or Jewish experience not listed on this page, we can help you with that too – Sukkah, Chanukiah, Matzah, and any other Jewish practice within our means. 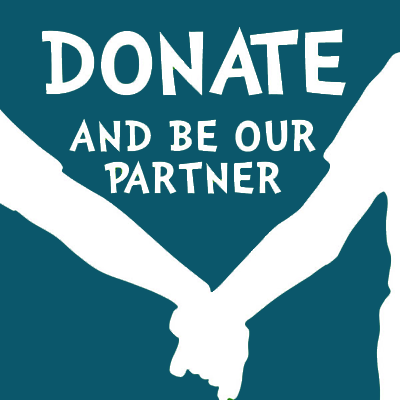 If you are interested in sponsoring one of these initiatives, or in creating one of your very own, become our partner and Donate NOW!